Global Patent Applications Rose to 2.9 million in 2015. In 2016 the European Patent Office (EPO) published 96,000 granted patents, 40% more than in 2015 making a new record high. Just below half (48%) of all patent applications were from EPO states, 25% from the US and 13% from China. 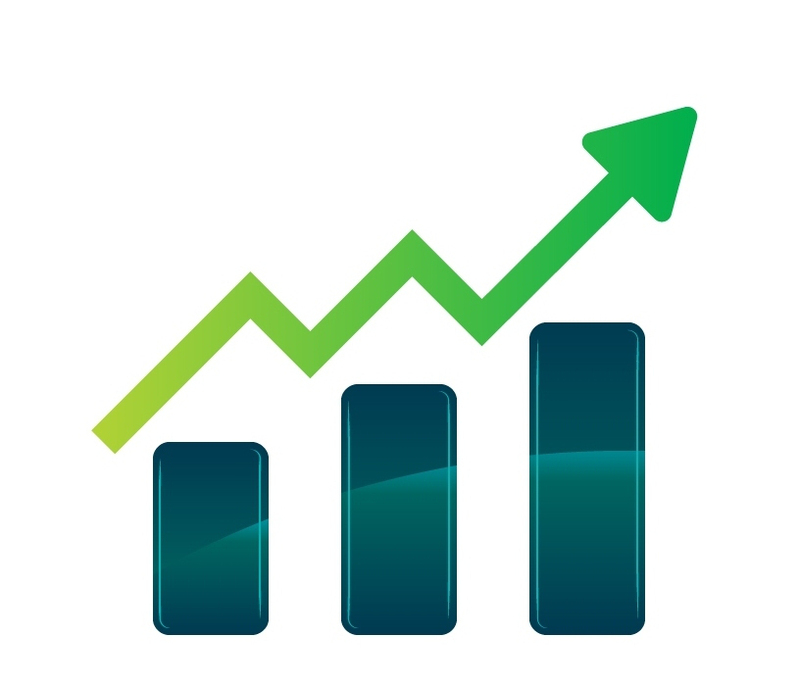 There was strong growth again in applications from China (+24.8%) and from Korea (+6.5%). The fastest growing technology fields were electrical machinery (+5.1%), transport (+3.6%) and computer technology: (+2.9%). 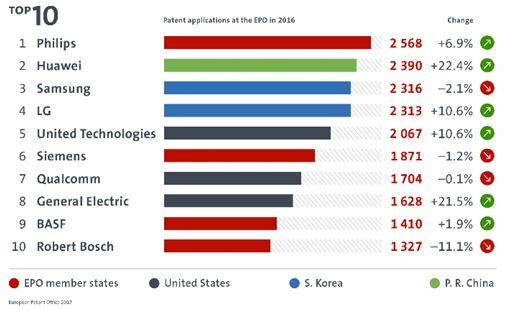 The EPO recently published its annual report containing the top 100 patent applicants for 2016. 66% of EPO applicants were large companies, 28% were SMEs and individual inventors, and 6% were universities and public research institutes. In the top 100 patent applicant list the first spot was taken by Philip Morris International Inc. (PMI), the world’s leading international tobacco company, for the second consecutive year. Global leader in telecoms, Huawei was second, followed by Samsung, LG and United Technologies. The top 10 patent applications contained four companies from Europe (Philips (1), Siemens (6), BASF (9) & Robert Bosch (10)), three from the US (United Technologies (5), Qualcomm (7) & General Electric (8)), two from South Korea (Samsung (3) & LG (4)) and one from China (Huawei (2)).